Use a NEW high-value Schick printable coupon to save BIG on razors! There are new high-value Schick coupons to print! 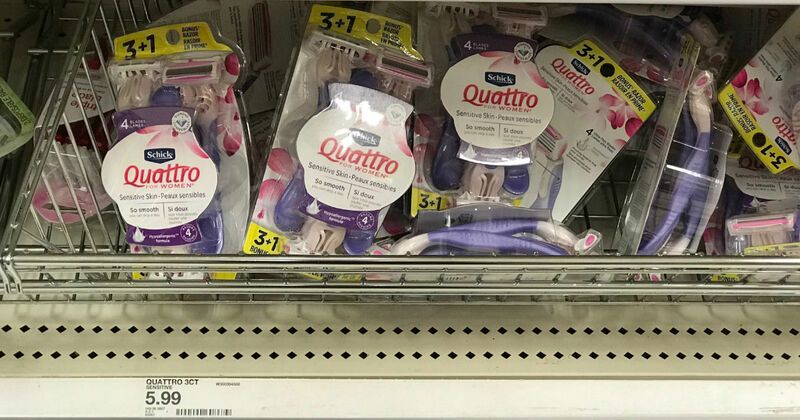 Use this $4.00 on ONE (1) Schick Quattro for Women, Intuition or Hydro Silk Razor or Refill printable coupon to score Schick Quattro Razors for $1.99 each at Target!